We fill our hair regrowth supplements with nutrients and vitamins shown to improve hair health, reduce stress, and promote overall wellness. 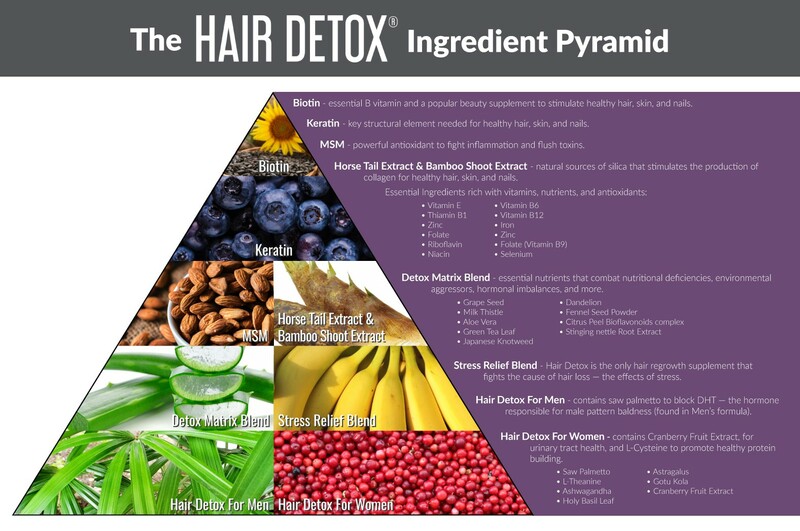 It’s time to switch to Hair Detox, the only supplement that alleviates stress while combatting hair thinning and hair loss. Biotin — As an essential B vitamin, our bodies use it as an enzymatic cofactor. 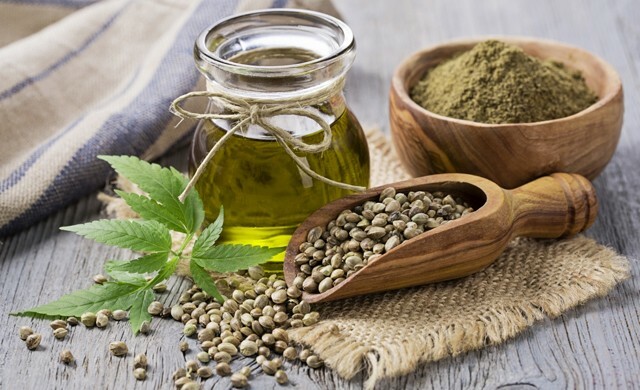 This popular ingredient has been shown to improve the strength and health of hair, skin, and nails. Hydrolyzed keratin — Keratin is the key structural material in our hair, as well as in the outer layer of our skin. This protein protects epithelial cells from damage or stress. MSM — Methylsulfonylmethane is an antioxidant used to help with inflammation and flushing toxins from the body. 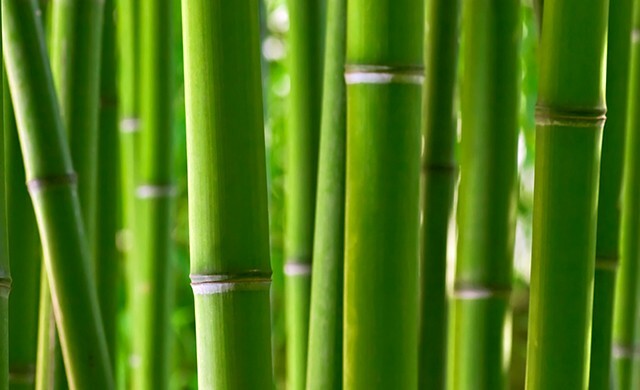 Silica — We gather silica from both horsetail extract and bamboo extract. Silica serves the body by promoting the creation and maintenance of collagen, which helps maintain healthy hair, skin, and nails. Vitamins — We include Vitamin D, Vitamin E, Thiamin, Riboflavin, Niacin, Vitamin B6, and Vitamin B12. Nutrients — We include iron, zinc, folate, and selenium in our supplements. Each ingredient of our supplements for healthy hair was carefully selected because of their traditional and scientifically supported ability to help combat nutritional deficiencies, environmental aggressors, hormonal imbalances, and more. Alleviating the effects of stress allows your body to truly heal and produce the hair thickening results you want most. 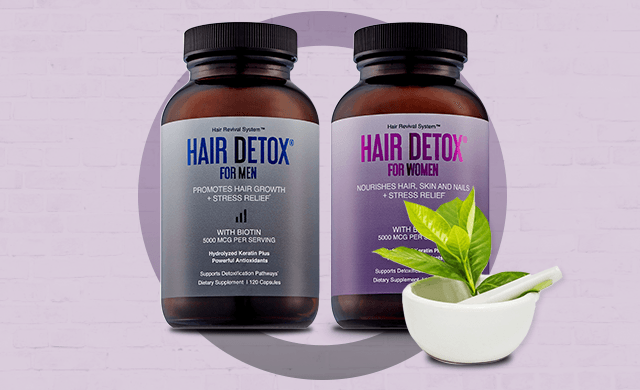 Contact us today with questions about our hair supplements for men and women and purchase your Hair Detox products online.